Damien before finishing 4th in the Gr.2 Mill Reef Stakes. 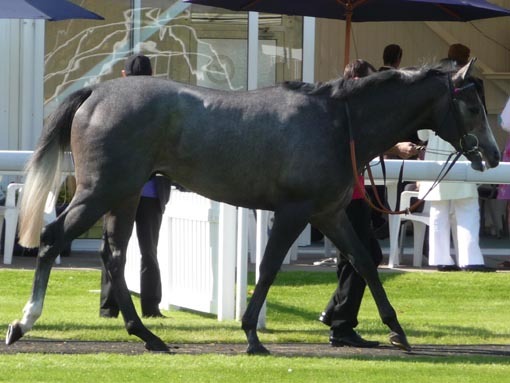 Miss Shaan\'s 07 Namid colt Damien progressed on his last run at Newmarket to finish a close second at Doncaster and again to finish 4th in the Gr 2 Mill Reef Stakes. 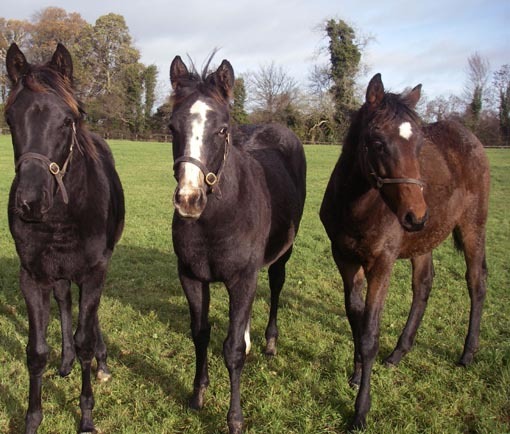 Despite her age this is only her third runner, the other two also won at two in France. Damien has now won over 100,000 Euro in prize money on his 3 starts and is his official rating is 106, which is excellent. 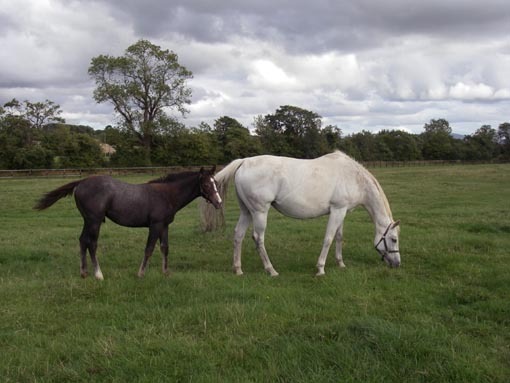 Damien is the 5th runner bred at Swordlestown Little, all of which have won. There is now a good chance that the Namid colt can earn some black type next year and follow in the footsteps of Massive who was Group placed (2nd Prix de Conde) at two and a LR winner at three and Mr Strong, who was a LR winner at two. 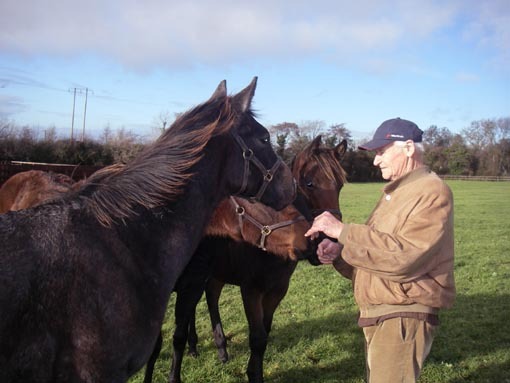 My dad with last year's yearlings and above, Miss Shaan's 2008 colt by Mujadil, sire of Kingsgate Native. 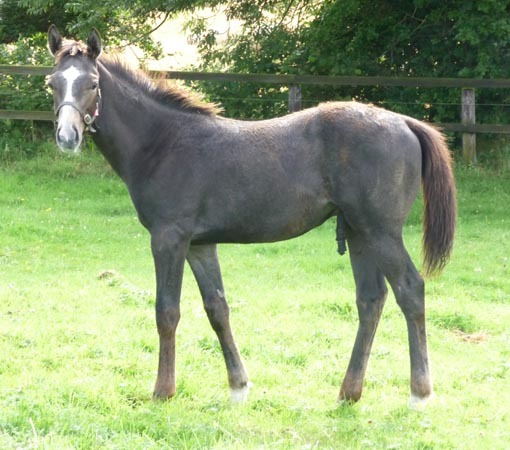 This attractive colt will be sold at Goffs in November 08.